1. 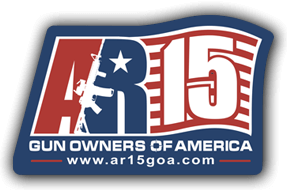 Please email us at: shipping@ar15goa.com to request a return shipping authorization (RMA#). 2. Include in your package a signed letter stating the reason for your return and the original copy of the receipt. Return Exceptions: Some items can not be returned if they are opened. These include AR15GOA Mag Wraps. Restocking Fee: All returned items are subject to a 10% restocking fee. Exchanges: If your clothing item is in like new condition, you may exchange your clothing item for a different size. Please contact us to ensure the item is stock and ship the return item back to the address above. All orders are normally shipped within 48 hours Monday – Friday 9am – 6pm. The rates charged for shipping your order is based on the total weight of products in the shopping cart calculated from our warehouse location in Warner Robins, GA. to your shipping address. Before the final checkout page, you will be shown a number of shipping options and the cost of shipping for each option. You will have the opportunity to cancel your order prior to completing the checkout process if you so desire. If an item goes on backorder we hold your order in a backorder status. When the item becomes available we will ship you your entire order. Upper and rifle/pistol cancellations are subject to a 10% cancellation / restocking fee. All other order cancellations will receive a full refund. AR15GOA accepts no responsibility for lost, stolen or damaged goods as a result of the shipping carrier.